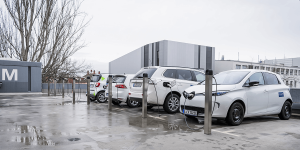 Stuttgart Airport has chosen Mahle to supply the bigCharge system to install 110 charge points for its fleet and electric vehicles from employees. The Mahle system is easy to scale and fit thanks to a centralised charge management unit. 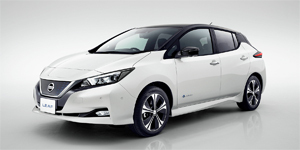 Nissan Leaf, Mahle, TM4, H2 Safety. Nissan extends U.S. battery plant: The company’s battery factory next to its U.S. assembly plant Smyrna, Tennessee shall get an additional surface of 2,500 square metres. The Smyrna Planning Commission just gave its approval. The Japanese opened the factory in 2012, but announced meanwhile that they will soon sell its complete battery business to Chinese financial investor GSR Capital in order to focus solely on EV designing and production, as reported. Thermal management alliance: German car supplier Mahle and its French equivalent Faurecia team up to jointly develop interior thermal management tech for EVs. Both agree on a collaboration in areas such as air distribution, air conditioning and personalized thermal management. Just recently, Mahle presented its demonstrator vehicle MEET (Mahle Efficient Electric Transport) at the IAA in Frankfurt. 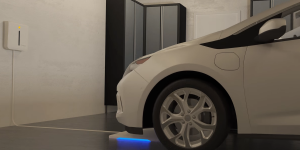 Another alliance for H2 safety: After the announcement of a German-American alliance for hydrogen safety, the US Department of Energy’s Fuel Cell Technologies Office partners now also with Japan’s New Energy and Industrial Technology Development Organization (NEDO). 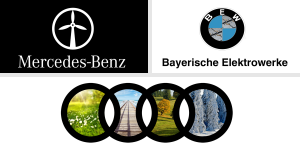 Both organisations agree on a collaboration to share data about early-stage R&D and safety of hydrogen and fuel cells. 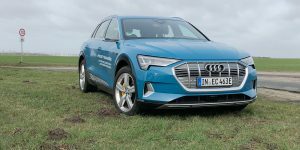 Mahle presents 48-volt city concept: The German car supplier will show its demonstrator vehicle MEET (Mahle Efficient Electric Transport) at the IAA in Frankfurt. The company’s approach is to create a concept fitting the needs of urban mobility and to create it in such a way that it is transferrable to a wide range of platforms. The concept’s traction drive couples a synchronous motor with permanent magnets and integrated 48-volt electronics. LMP1 bases its hope on Peugeot: As after Audi also Porsche is about to leave the LMP1’s stage in order to turn to the Formula E race series, the future course of the WEC hybrid class is open. However, Peugeot is not adverse to enter the series, particularly regarding new plug-in rules coming into effect in 2020, but currently is using its strong negotiation position to minimalize its potential costs. Until further notice, Toyota will play the WEC’s solo entertainer. Toyota chases after the sunlight: Not only does Toyota offer solar panels on some versions of its Prius, the carmaker now also considers developing a method to estimate the sunlight available on the car’s route. A patent handed in at the U.S. Patent & Trademark Office concretise the Japanese’s idea to spice up the navigation system in a way that it knows how much sunlight is collectable at different courses. How to turn Germany’s ultimate car city into a sustainable urban space. NorthVolt, Mahle, Formulino E, Autopilot. Financing for the Gigafactory in Sweden that Northvolt plans may come from the European Investment Bank (EIB). The company seeks to raise 4bn euros to complete its battery production facility by 2023. New plans outline construction in three phases with the first stage costing about 1.5bn euros to go on-line around December 2020 and to produce 8 GWh of batteries annually. Northvolt also said it looked at 18 locations in Sweden and 2 in Finland and will require at least 500,000 square metres of land for the plant with access to significant power supplies and transport lines. 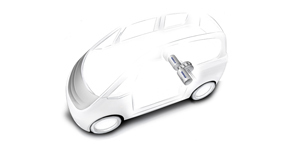 Mahle strengthens e-mobility: The supplier plans to take over Spanish Nagares, that makes electronics for the automotive industry, including power converters for electric vehicles. The purchase price will not be disclosed and the deal still awaits approval by the antitrust authorities. 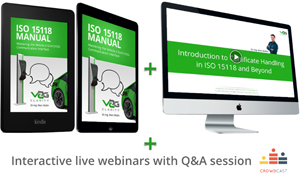 Master the Vehicle-2-Grid (V2G) communication with the first-ever digital ISO 15118 masterclass. Understand how this future-proof technology works and raise your market expertise. Take advantage of the substantial knowledge of the “V2G Master” package by Dr.-Ing. Marc Mültin, including the ebook and video tutorial as well as free coupons to interactive webinars with Q&A. 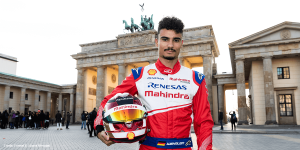 Electric Formula 3 racer: The Formulino E for racy juniors is a converted Formula 3 race car by Dallara, with Punch Powertrain signing responsible for the new electric drive. With its 600 kilo and 120 kW is reaches 100 kph in less than 4 seconds and got a top speed of 200 kph. 20 units of the little racers may form a feeder series for the Formula E or Electric GT from next year. Better insurance with Autopilot: Startup insurance company Root wants to offer discounts to Tesla drivers using Autopilot. The insurer said it tracks its clients driving habits with a mobile app and set prices based on performance. In reality though, it is unclear, how they would measure Autosteer, instead “Autosteer eligible highway miles” are counted. European Interoperability Centre, Mitsubishi, ZF, Mahle. Harmonising EU/US standards: The European Commission inaugurated the European Interoperability Centre in Ispra, Italy. 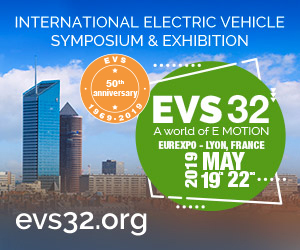 Together with its partner facility in the U.S. Department of Energy’s Argonne National Laboratory (we reported), it aims to ensure that the next generation of electric cars and smart grids are fully interoperable, based on harmonised standards, technology validation and testing methods. Meet the eX: Mitsubishi unveiled its electric crossover concept in Tokyo. The eX features a 70-kW electric drive in each axle, which are fuelled by a 45 kWh battery pack that allows for a range of up 249 miles. Connected to a V2H device, the eX can serve as power source as well. ZF spreads in Japan: A new R&D centre with a focus on electric drivelines will be founded in Yokohama, ZF announced. Over the next two years, about 70 engineers will start working at the Japan Tech Center in close cooperation with ZF’s recently created e-mobility division in Germany. Electric motorcycle motors: German Mahle brings electronically controlled, brushless DC drives to Tokyo. Such electric motors are already being used by European motorcycle manufacturers. Mahle strengthens its electric transport division and holds the majority in Japanese company Kokusan Denki. 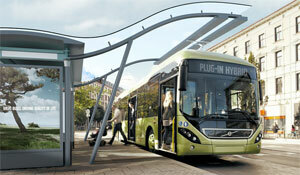 Most clicked link on Thursday was the all-electric double-decker bus launched by BYD and Alexander Dennis. ABB & Volvo, Mahle, University of New South Wales, Mazda. Global e-bus partnership: ABB and Volvo Buses signed an agreement to work together on quick charging for plug-in hybrid and electric buses. Together, they want to set new standards with their system which will first be used in Luxembourg next year. 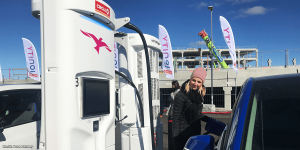 The chargers will automatically connect to the roof of the bus and charge with up to 300 kW. More power for range extender: Automotive supplier Mahle will offer its range extender engine in two new power variants. 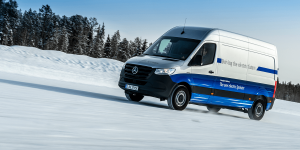 The currently 30 kW will be increased to 40 and 50 kW suitable for vehicles weighing more than 1.6 tonnes. The new engines are said to be still compact and utilise many parts from the original. The stronger versions are currently being tested. Record to break: Sunswift, a team of students from the University of New South Wales hopes to break the EV record for the highest average speed over a 500 km (310 miles) ride with their eVe. The current record is 45 mph and Sunswift believes to be faster even without utilising the car’s solar panels. Back to the future: In 1993, Mazda fitted its legendary Miata with a rotary engine running on hydrogen. While it was not a fuel cell vehicle, the MX 5 actually burned H2. However, fuelling was arduous and the tank made driving anything else than nimble. Points for trying though. Most clicked link on Monday was the ‘Short Circuit’ about the futuristic Nimbus micro-bus concept.